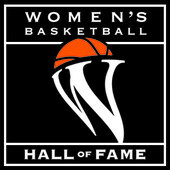 The 1976 U.S. Women’s Olympic team, which won the silver medal, will be honored at the Women’s Basketball Hall of Fame Induction weekend June 14 as “Trailblazers of the Game.” They were the first group of women to represent the U.S. in the Olympic Games, the first time women were allowed to compete in basketball. The women who made that team were the best of the best and their accomplishment set the stage for an incredible run of success for the U.S. women on the international stage. 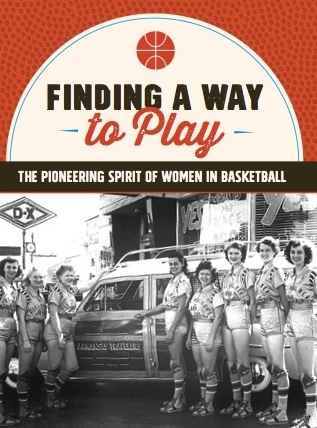 The U.S. men had begun playing at the Olympic Games in Berlin in 1936, but it wasn’t until after the 1972 Olympic Games in Munich that the overwhelmingly male International Olympic Organizing Committee deemed women basketball players fit to play in the Olympic Games. For almost 40 years, American women had hoped against hope for a chance to play basketball on the biggest stage of all: the Olympic Games. The best female basketball players in the world did compete against each other, but such contests as the Pan Am Games and the World Games garnered little of the publicity and attention that the Olympics did. As the women’s movement gathered steam in the ’70s, the male establishment felt pressure to abandon the notion that women couldn’t compete in strenuous sports (though women wouldn’t be allowed to run marathons until 1984). Much of the pressure actually came from behind the Iron Curtain, where such countries as the Soviet Union and East Germany were churning out women athletes in record numbers (with the help of performance-enhancing drugs, it would later be learned). showed up. Head was in college when the announcement came that women’s basketball would be added to the Summer Games in 1976. She planned to spend a full year training for the Olympic tryouts after she graduated from UT-Martin in June, 1974. But in a game in January, she was hit behind the knee and crumpled to the floor. Doctors said she’d torn her anterior cruciate ligament and her meniscus so severely that there was little chance she’d ever play basketball again. Obviously, they didn’t know Pat Head (who would go on to coach Tennessee to eight national championships as Pat Summitt) or her father. According to her 2013 memoir, “Sum it Up,” Summitt’s father drove her all the way to Nashville to see the best orthopedic surgeon in the state. The 12-inch scar, from her thigh to the top of her calf, attested to the complexity of ACL surgery back then. Summitt rehabbed her knee for the rest of 1974 but it was still stiff and sore a year later. She made the roster of the U.S. team for the Pan Am Games in early 1975, but she sat the bench throughout the tournament, slowed by her loss of mobility and the 20 pounds she’d gained since the surgery. By the time the Olympic tryouts were held in June, 1975, Summitt had lost 27 pounds She had worked out five or six hours a day, determined to be in the best shape of her life. She may still have been the oldest and least mobile of the 24 women who made the first cut and assembled in Warrensburg, Missouri for the final tryouts. But she was able to endure the workouts that Coach Billie Jean Moore put the players through for those five grueling weeks. “She was so strong that you couldn’t get around her to follow your shot,” said Cindy Brogden, who also made the team and was Summitt’s roommate in Montreal. “She was the most aggressive person I ever met on a basketball court. Billie Jean Moore, the coach of the first Olympic team, was a no-nonsense, defensive-minded tactician who had led Cal State Fullerton to an AIAW national championship in her first year as head coach in 1970. 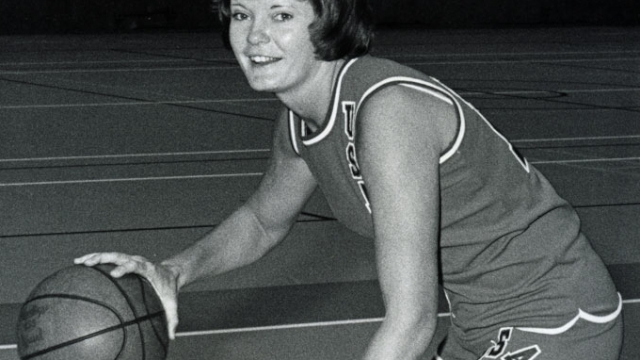 Sue Gunter, who had played with Nera White on the Nashville Business School teams, and was coaching at Stephen F. Austin at the time, was the assistant coach. Their goal was to choose the 12 players who had the best chance of upsetting the Soviet Union’s team and its legendary 7-2 center, Uljana Semjanova of Latvia. The Soviets hadn’t lost an international tournament game since 1958. The U.S. National Team had come within three points of them in an exhibition game at Madison Square Garden in 1974. But the Soviets came back and defeated the U.S. in the next game in California by 30 points. Ann Meyers, who had been the only high school player on that U.S. National team, said the Soviet’s pride was hurt by the close game in New York, as well as the rudeness of some of the U.S. players (including her) who made fun of the size of Semjonova’s feet during a shared pre-game meal. By the 1976 tryout, Meyers was already an All-American from UCLA. She had sprained her ankle during the regional tryouts, but made it to the final round in Missouri on the strength of her resume. In her memoir, she recalled the five weeks in Missouri as a “sauna straight from the underworld.” The three-a-day workouts, seven days a week, always ended with a 30-minute session of lines, also known as suicide sprints, that left the players gasping for air or dry-heaving. The 12 players who survived, and would be heading to Canada, as the first-ever U.S. Olympic team were Meyers, Summitt, Brogden, Lusia Harris, Juliene Simpson, Nancy Dunkle, Charlotte Lewis, Trish Roberts, Sue Rojcewicz, Mary Anne O’Connor, Nancy Lieberman, and Gail Marquis. Meyers and Summitt were by no means the only experienced players on the team. Lusia Harris, the 6-foot-3 center from Delta State, had also played in the 1975 Pan Am games. She had found international play to be rougher and more physical than college ball, but she was not the least intimidated. The hardest part for her was adjusting her game to the faster pace that Moore liked her teams to play. At Delta State, she usually pulled down the rebound and jogged upcourt, knowing her teammates wouldn’t put up a shot before she settled herself into the post. The player attracting the most media attention was a 5-foot-10 redhead from Brooklyn, New York, named Nancy Lieberman. In 1975, Lieberman was a 17-year-old high school senior who developed her no-look passes and uncanny shooting eye on the playgrounds of the city. While she was a natural point guard because of her quickness and passing skills, Lieberman had a cockiness that made her believe she could throw elbows and get rebounds even against taller bigger opponents. While these 12 players were the U.S. Olympic team, they still had to make it into the Olympics. Because the U.S. National team had come in eighth in the most recent World Championships, it was not awarded one of the automatic berths. Canada, as host country, was assured a berth, as were the Soviet Union, Japan and Czechoslovakia, winners of gold, silver and bronze in the World Championships. The U.S. would have to vie with nine other teams for the two remaining spots in the Olympics in a qualifying tournament in Hamilton, Ontario, just over the border near Niagara Falls. Meyers and Summitt recalled the dorms they lived in during that tournament as run-down and dismal. But at least the rooms were free. Since the U.S. women weren’t officially an Olympic participant, they had no budget — only a $500 limit on a credit card that had to last the length of the qualifier. The U.S. easily disposed of France and Mexico, but barely escaped with a win in a one-point game with Bulgaria, 76-75. Still, they’d made it to the Olympic Games and headed to Montreal on July 4, 1976, the country’s bicentennial. Summitt remembers the Opening Ceremony as a blur of red, white, and blue. Just to be among the best athletes in the world, on the biggest stage was a dream come true. But there was basketball to play, and the U.S. team started off on the wrong foot with a loss to Japan, 84-71. Turnovers in this inaugural event did the U.S. in, but the team rebounded with a big win over Bulgaria, 95-79, the next day. Two days later, the U.S. beat host Canada, 95-79. The much-anticipated game with the Soviet Union came next. Summitt was assigned the task of guarding Semjonova, who was a full 14 inches taller. “I came up to her armpit,” she recalled. The U.S. strategy was to try to get in Semjonova’s way and draw charges when she swung into the post with the ball. But Semjonova, who would become the first non-American inducted into the Naismith Basketball Hall of Fame in 1993, didn’t really have to throw her weight around to dominate play. In fact, she didn’t even need to jump. The Soviets scored the first 15 points of the game, as Semjonova scored 32 points in only 23 minutes of play. The Soviets won the game 112-77. “By the end of the first quarter, Semjonova had already connected on 15 straight layups without her size 18 feet ever leaving the ground,” recalled Meyers. Because the Olympics was a round-robin tournament, the U.S. team still had a chance for the silver medal if it could win its last game against Czechoslovakia. That game wasn’t as lopsided as the final score would indicate. Tied 37-37 at the half, the U.S. broke it open in the second half and won, 83-67. Harris, no doubt relieved to be rid of the towering presence of Semjonova, led all scorers with 17 points, as she did most nights, while Dunkle added 14, and Roberts, Rojcewicz, and Simpson each scored 10 points.